Almost every day, we learn more about the condition of migraine that plagues up to 38 million Americans every year. The problem is, much of the information passed on by people from one to another is inaccurate, and if you listen to family members and friends you can get the wrong idea entirely. Here are some of the more common myths, followed by the actual facts. Make a point of knowing the real story, and you can set someone right if you find them spreading false information. One of the risks associated with this condition is the relationship between migraine and stroke, with the results of 14 studies across the U.S. and Canada showing that migraineurs have a 2.2 times higher chance of stroke, not to mention the impact of chronic illness on personal relationships, or the national and local economies. complications of migraine, such as chronic migraine, and others. In addition, the range of symptoms differs between patients, and even from one migraine attack to the next. So the assumption that one person’s migraines can provide a benchmark for someone else’s is a dangerous myth patients often have to deal with. Fact: As noted above, migraine with aura is only one of two primary types of migraine. The other is migraine without aura, which is actually the more common of the two. The American Migraine Foundation reports that only 25% to 30% of migraine attacks include aura, and that even patients who suffer from aura seldom have this type of migraine every time. So we have it on good authority that at least 70% of episodes are migraine without aura. Fact: There’s a widely-held belief that many migraines are the result of stress, depression or another psychological disorder, and that it’s the patient’s own fault if they suffer from these conditions and don’t take steps to address them. All of this is false. Migraine is purely a result of physiological factors, and psychological issues don’t come into it at all. To be sure, stress can trigger an episode, as can eating the wrong foods, the barometric pressure of the surrounding air, and a multitude of other, individual factors. The actual cause of a migraine, however, is the dilation of blood vessels in the brain that stimulates nerve endings. These release neurotransmitters, which send pain signals to the brain. Most patients suffering from stress and/or depression do so as a result of their migraine condition, which may be why some people believe they go hand in hand. Fact: Most family or primary care doctors can recognize migraine when they see it, unless your case is particularly complex. Often, they can give you a prescription that will provide pain relief in the short term, too, especially during the early stages of your condition or in an emergency. That doesn’t mean they are able to pinpoint the exact type and cause of your migraines, or that they know how to treat it. For real, long-term relief, it’s essential to get your primary care physician to refer you to a migraine specialist or neurologist experienced in treating migraine, to get an accurate, detailed diagnosis. Statistics show that 60% of women and 70% of men who suffer from migraine are misdiagnosed, and are forced to live with ongoing pain and suffering for much longer than they should. This leads to sufferers being turned away from emergency rooms and insurance companies formulating policies that discriminate against migraine patients, among other issues. Any patient who displays some or all of the symptoms of migraine more than once should request an immediate referral to a specialist, or contact the Migraine Relief Center to schedule an appointment. Fact: Migraine certainly qualifies as a women’s health issue, given that 28 million out of the 38 million U.S. sufferers are women, and it’s recognized as one of the most serious problems affecting women. 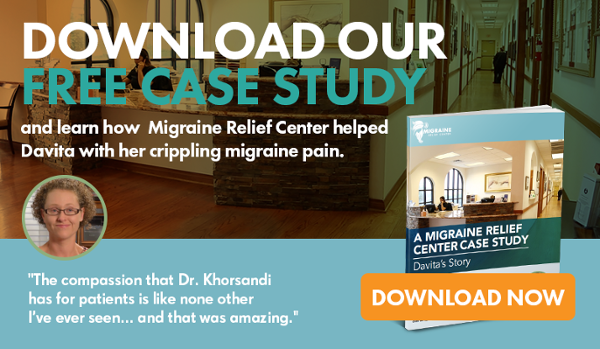 The remaining 10 million sufferers, however, are men and children, according to the Migraine Research Foundation, and even among women the condition is not uniquely connected with hormonal fluctuations. While the two conditions can possibly be associated, not all women with PMS have migraine, or vice versa. Migraine episodes that develop within 2 to 3 days before or after a woman’s period is often referred to as a menstrual migraine, but there’s no real scientific evidence to show either one causes the other. Epilepsy, with around 15% of sufferers also experiencing migraine. As many as 1,400 more women experiencing migraine with aura die from cardiovascular diseases each year in America, compared with the number of women who don’t have migraine. In addition, three times more suicide attempts are made by people with migraine with aura, compared with those without migraine. Fact: Thankfully, medical science has advanced sufficiently that these days there are multiple migraine treatments available to choose from. Depending on the severity and frequency of your migraines, you can choose between over-the-counter medicines, prescription products like triptans, non-invasive procedures such as BOTOX® injections or several types of migraine surgery, as well as complementing these with natural therapies, acupuncture and massage. It’s no longer necessary to simply “grin and bear it,” and if a patient is pregnant, safe alternatives exist for managing your migraine and pregnancy. Only around 5% of chronic sufferers don’t respond treatments, and the need for awareness and research remains to find solutions for these patients.